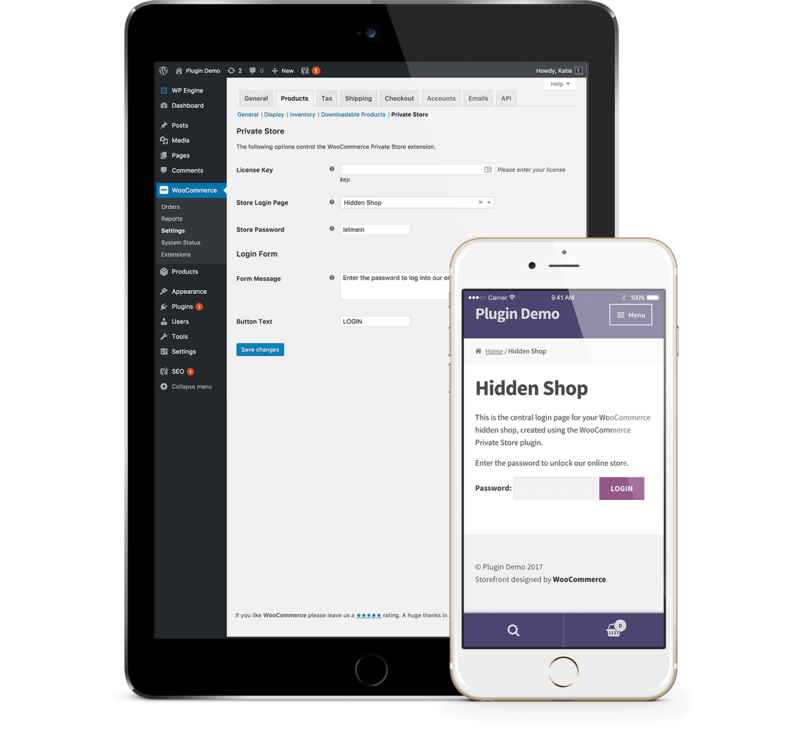 The WooCommerce Private Store plugin is designed to hide all the content that is created by the WooCommerce plugin. This includes the main shop page, product category pages, product tag pages, single product page, cart, checkout and WooCommerce account page. Some websites use additional WooCommerce add-ons which create further pages that need to be protected as part of your private store. For example, if you’re using a WooCommerce ‘Request a Quote’ or ‘Wishlist’ plugin then it might create additional pages that you want to hide. 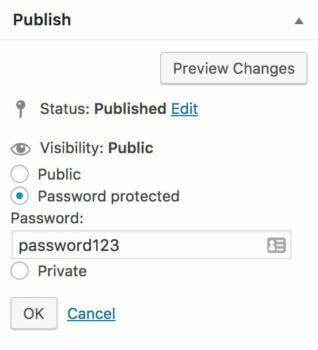 While our plugin won’t automatically protect these pages, there’s an easy way to give them the same protection as the rest of your store. The instructions for this depend on whether you choose to password protect your store or automatically unlock it for logged in users. Go to the Edit Page screen for the page you wish to protect. Click ‘Edit’ next to ‘Visibility’ in the Publish section at the top right of the screen. Choose ‘Password protected’ and enter the same password as you’ve set on the WooCommerce Private Store settings page. This must be identical to your private store password. Once you’ve done this, your customers can visit either the password protected page or any WooCommerce page/product/category. When they enter the password, it will unlock that page as well as everything else with the same password. Customers only have to enter the password once to unlock the entire store and additional pages. 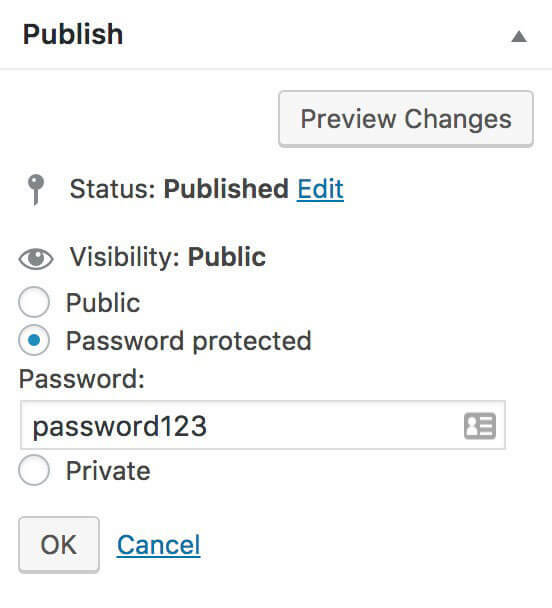 If you’ve set up WooCommerce Private Store to automatically unlock for logged in users, then you can use a separate WordPress membership plugin to hide the additional pages from logged out users. For example, the free Advanced Access Manager plugin works nicely with WooCommerce Private Store and has an option to hide specific pages from guests so that only logged in users can see them.